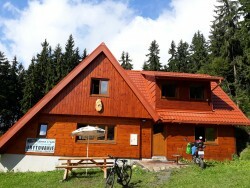 Pension Slnečný dvor in Zázrivá. Living room with satellite TV, fireplace and WiFi. There is a sauna, jacuzzi, outdoor fireplace. 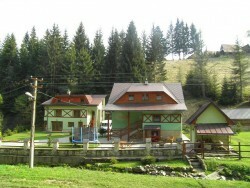 Cottage Stred is located in the ski resort Kubínska hoľa, right next to the ski lift. 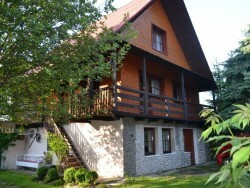 Apartments Karol Strba in beautiful environment, on the outskirts of the village. 3 rooms with private bathroom, kitchen, gazebo, fireplace. Wooden cottage Júlia in Zuberec. 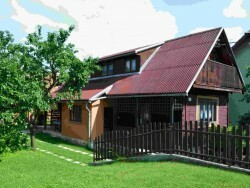 Wooden cottage is suitable for families with children. Skiing: Zuberec - Janovky 500 m, Roháče - Spálená 8 km, Oravice 12 km. Flower Garden Apartment provides comfortable accommodation in a quiet part of Dolny Kubin. 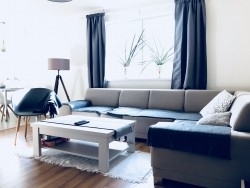 Apartment size is 60 m². 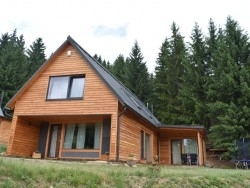 Private U Emky is located in a quiet environment on the outskirts of the village Rabcice. The possibility of active and passive rest in the summer and winter. 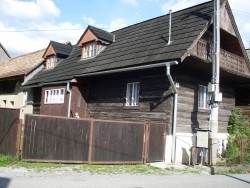 Cottage Vikend offers accommodation in three attic rooms. In summer, guests can use the indoor garden seating and a fireplace.